These cat-friendly homes allow people and their pets to live together in perfect harmony. Cats are beloved members of many families—and they need space to roam and play! In densely populated urban areas, where gardens, parks, and trees are few and far between, cat-loving architects have designed homes with cozy places for kitties to nap, perch, and move about with ease. 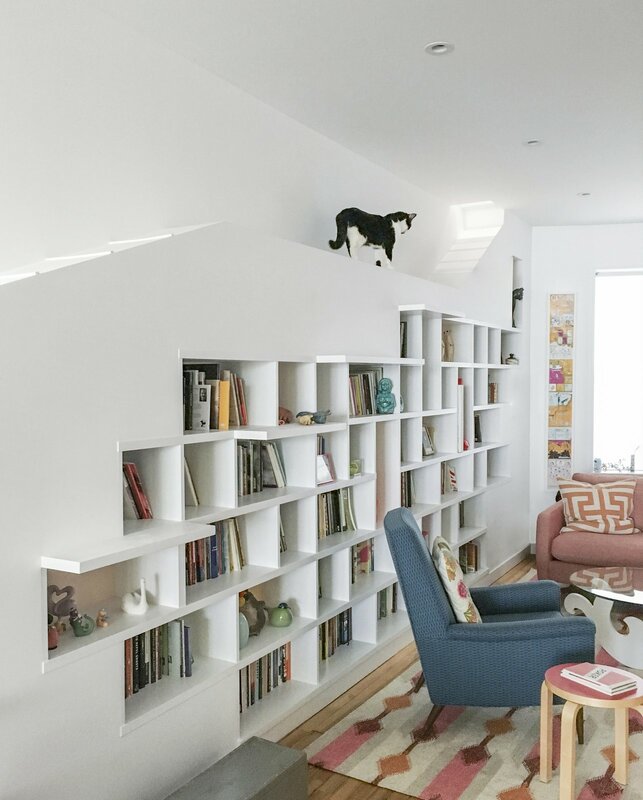 Read on for six of our favorite feline-friendly homes. This Brooklyn home has a bookcase with a built-in catwalk. BFDO Architects designed this Brooklyn townhouse for a cat-loving professor and a poet. The home features a feline-friendly bookcase with nooks, crannies, and a catwalk on top. 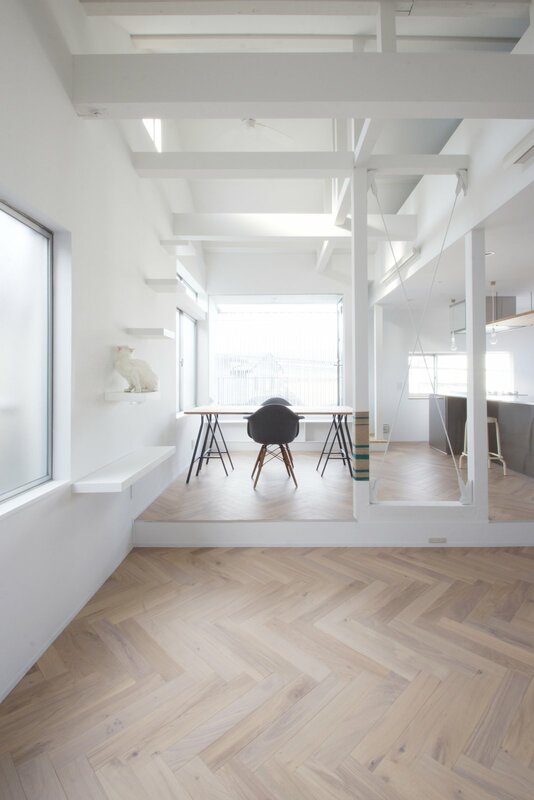 Trapdoors on both sides of the apartment allow the owner’s cat to access the upper rooms. The Inside Out residence has narrow, sheltered ledges along its perimeter where cats can nap in the sun. 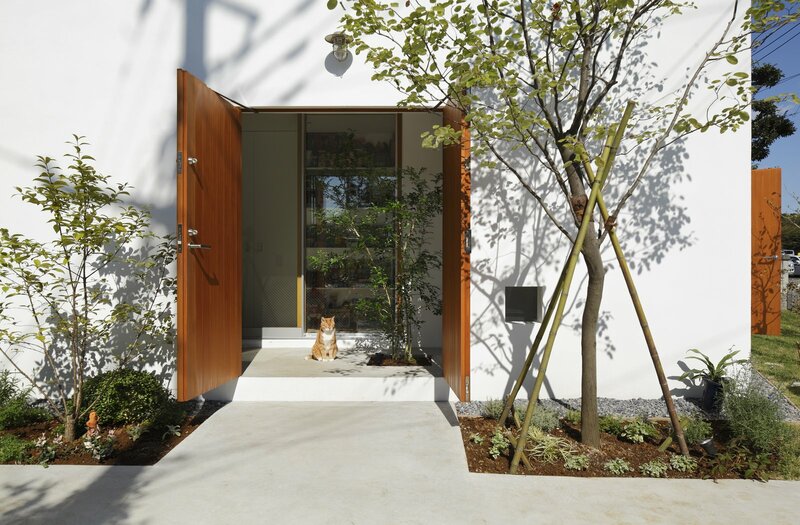 Tokyo architect Takeshi Hosaka created this home for a couple with two cats. 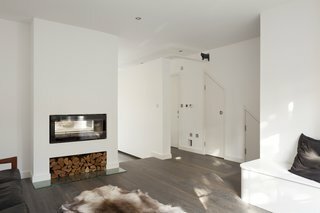 Strategically designed openings in the roof and the walls allow the cats to move around with ease. Shelf steps provide playful perches for kitties. Japanese architect Akira Koyama designed this Tokyo home around the movements of the residents’ pet cat. 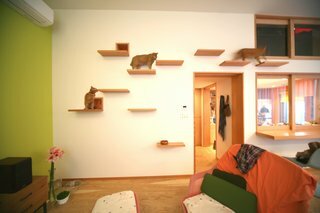 Stepping stone-style shelves and high-level apertures allow the cat to move between the rooms without having to use the landing and stairs. This walkway leads across the hall and through a passageway to a room where the cats’ litter tray is kept. London-based Scenario Architecture designed this extension to a Hackney terrace home with a wall flanking the kitchen that stops just before it reaches the ceiling. This provides space at the top of the wall for the owners’ two pet cats to walk. 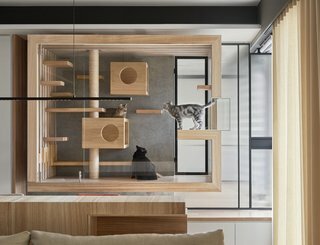 Indot, an interior design firm in Taiwan, designed this suspended enclosure for a client’s four cats. The wood frame and interior elements of the cat house mesh with the rest of the home’s interior finishes, while the glass ensures the installation doesn’t convey too much visual weight. Taiwanese interior design firm Indot created a glass and wood structure for cats to perch, scratch and play. The built-in kitty playground appears to be floating, however it’s supported by concealed metal pipes. The living room is arranged on the second floor to create a sunny and comfortable environment. Seiji Iwama Architects renovated this minimalist home in Tokyo with step shelves and beams that serve as walkways for the owner’s white cat.